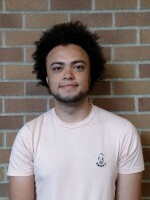 Jordan Barde is a rising sophomore currently studying at Cascadia College. 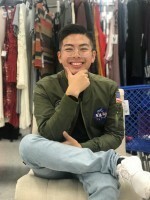 In 2019, he plans to transfer to the University of Washington to earn his Bachelor of Science in Mechanical Engineering and intends to enroll in a master’s program thereafter. His evolving interests lie in aeronautics, robotics, and clean and renewable energy. During his tenure with the Clean Energy Bridge to Research program, he hopes to hone his creative problem solving and research skills and take inspiration from the myriad applications of innovative technologies. Outside of his academic pursuits, he enjoys soccer, landscape photography, and hiking. Nathan is a rising sophomore at the University of Washington, currently majoring in Bioresource Science Engineering. Nathan is working with Professors Daniel Kirschen and Devin MacKenzie in the development of solar cell microgrids. Nathan is from Mattawa Washington, where he grew up with a strong native culture that has the highest respect for the land and a belief in the promise that he has to it. His favorite quote is from his grandfather- he said to him, “Always be happy with what you have and content enough to only take what you need”. 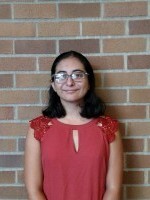 Jacqueline Cano is a junior at Jacksonville University, double majoring in Chemistry and English. Jacqueline’s research with the Ginger Lab centers on using nanocrystals for LED applications. 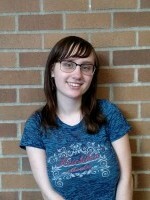 She has received awards at the collegiate level for her writing in creative non-fiction and poetry. Aside from her classes, much of her time is spent leading her campus’s Gender and Sexuality Alliance, bringing attention to issues faced by the LGBTQ+ community. 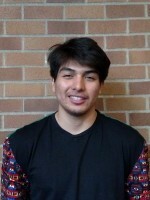 Alexander Diaz is a sophomore at Valencia College in Orlando, Florida. He is planning on majoring in photonics science and engineering once he transfers to the University of Central Florida. With experience as a student, junior pastor, and martial artist, Alexander is capable of pulling from many sources of knowledge to supplement his academic studies. Through the acquisition of knowledge, Alexander hopes to have a profound impact on the direction in which the world is heading. 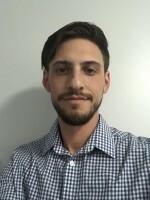 Alexander’s work with Professor Kai-Mei Fu’s research team is focused on integrated photonics simulation and testing energy efficient frequency conversion. 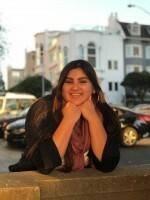 Victoria Diaz is a rising sophomore at her local Santa Rosa Junior College in Santa Rosa, California, seeking to obtain a degree in chemistry with a minor in mathematics. The Clean Energy Bridge to Research program is her first experience in a research environment. Victoria is researching localized temperatures within nanostructures with Professor David Masiello. She has a vast range of interests that revolve around the world of STEM so pinpointing a definite and absolute career has been incredibly challenging for her. That being said, Victoria has always been passionate about the ocean and the planet as a whole and intends to do her part in restoring the damage already inflicted by the human hand. Victoria is adventurous – enjoying everything life has to offer and hopes to one day leave an impact somehow, someway. Red is a rising sophomore at Highline Community College. He plans on transferring to a 4-year university to major in Aerospace Engineering. During summer 2018, Red works in Xiaosong Li’s lab conducting theoretical calculations on electronic structure of fluorophores during excitation and emission process in order to provide molecular-level explanations of their photophysical properties to specifically answer why there is a blue-shift of characteristic spectral wavelength after bonding amide moiety on electron-donating group. Ideally, by analyzing the results, he could explain the mechanism of above phenomenon and give some insights for fluorophore design. Although the project is unrelated to his intended field, Red still hopes to gain general skills and knowledge to conduct research, and figure out approaches to fulfill goals in his desired career path. David Dinh is a rising sophomore planning to major in Computer Science . David is working with Professor Baosen Zhang to predict electrical demand in Texas. He is currently gathering information on how power generators, and also local consumers, save energy and money. He is also learning Python, a coding language that will help him within his research. On his own time, he enjoys to play basketball and tennis competitively. He also loves to dance and teach others. In addition, Davis is part of a youth group that he consistently attends every Sunday. Kito Gilbert-Bass is a rising senior, chemistry major and sociology minor, at Ithaca College in Ithaca, New York. He has found a deep interest in solid state and inorganic materials chemistry. Since the spring of 2016, he has conducted exploratory quaternary lithium nitride research at Ithaca College in the hopes of discovering useful and electrically interesting compounds. Kito’s goal is to continue doing research in graduate school and eventually obtain a Ph.D. in solid state or inorganic chemistry. Ultimately, he wants his work to significantly contribute to solving the world’s energy crisis, and he aims to finish his career by teaching what he has learned to the undergraduate level. In his spare time, Kito enjoys spending time with friends, cooking, and trying out new restaurants in town. 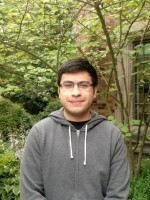 Gerardo received his Associates in Science from Bellevue College and is interested in researching and creating clean, reliable, safe, and affordable energy for the world. He is also concerned with keeping the world and environment clean while still advancing technology and making improvements for all. Currently, Gerardo is researching self-cleaning surface technology with Professor Karl Bohringer. In the past, he has done clean energy research in Gerald T. Seidler lab at the University of Washington. One of his personal interests is playing and listening to music. He has had past musical experience with the violin, and guitar. Gerardo also enjoys political discussions because he knows how important the role politics is having, has had, and will play on environmental issues. Lastly, he knows there is still a lot of steps left to fix the energy situation, and he will strive to improve our world’s energy and hopes that his current research in self-cleaning surfaces for solar panels can be one of those steps. Charles Hart is from Buffalo, New York and is studying engineering at Morehouse College in Atlanta. 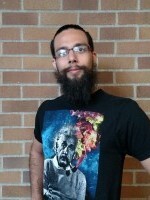 During his junior year of high school, he was given the topic of dark energy as a physics final project. During his senior year, he chose to take an elective called Introduction to Engineering. It was in these classes that he was presented with the many career paths that were granted to those with an engineering background. 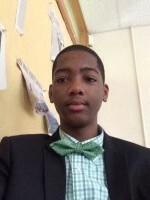 He would then apply to Morehouse College and be accepted into the Dual Degree Engineering Program. With this HBCU’s liberal arts education, he is required to first obtain an applied physics degree before he can go onto receive the engineering degree. This special set of requirements will make him a well-rounded prospect when he finally graduates with two degrees. His interest in participating in this summer program is based upon the great institution of the University of Washington. 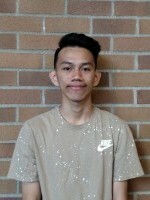 He looks forward to this summer program to tie together all of the applied physics courses he has taken and learn more in the field of physics. Researching about photons and the effects of the sun on materials will only help in reaching his career goal of becoming a chemical engineer. With an applied physics background, he will have an advantage when obtaining his engineer degree. He is interested in getting into the clean energy industry, primarily focusing on solar panels. Clean energy will be needed in the future to protect the environment. Society needs engineers that can and will change the world. Oriana LoCicero is a rising junior at Bates College studying chemistry and dance. Her research interests are focused in clean energy chemistry. At Bates College her research entails characterizing Brownmillerite thermoelectric materials, which turn waste heat energy into electrical energy, using x-ray diffraction and GSAS, a crystallographic modeling software program. 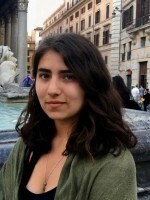 At the University of Washington, she is working in the Shlenker lab furthering her skills in electrochemistry by investigating charge transfer between the layers of perovskite photovoltaics. Oriana intends to enroll in a Ph.D program and continue to research clean energy chemistry. She enjoys painting and writing in her free time. Emilee Paradis is a rising sophomore at Pierce College in Puyallup. She is finishing her engineering prerequisites and plans to transfer to the University of Washington to study Mechanical Engineering. Her professional interests includes product development and access to clean energy. Currently, Emilee is working with the Holmberg Research Group to study the effects of temperature on antimony negative electrodes in sodium ion batteries. In Puyallup, Emilee runs her school’s engineering club and has mentored a local robotics team. She enjoys trying new food and making stuffed animals in her free time.